The metro-sexualization of American culture is nothing new. Over the past few years Guy-Liner has crept past the realm of rock stars and into every line outside of Hollywood. So what’s next you ask? With that I present to you, Male-Polish. Yes M-A-L-E polish. 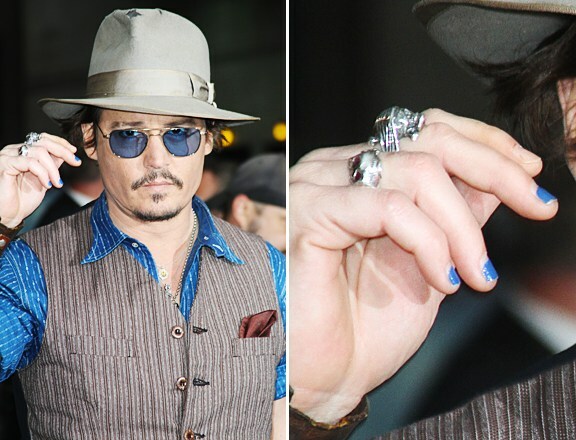 Jared Leto, Dave Navarro, and Johnny Depp have all been seen proudly sporting aggressively polished fingers, and now EvolutionMan has launched a line of “paints” and “varnishes” marketed specifically to men. Included are various shades, ranging from metallic, to concrete, matte, and satin. Read more..
he is definitely the best!! !